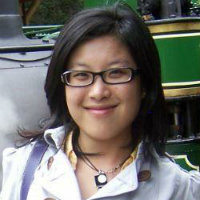 Qian is a PhD student at Cass Business School. She's interested in strategy-as-practice, institutional logics, and identity formation. She focuses on Fintech firms and Insurtech space in general. Prior to her life in London, she has spent years in Australia and U.S.A. She is a committed yogi and world traveler. The set of projects examines multiple aspects of FinTech industry from the perspective of strategy-as-practice, institutional logics, identity formation, and organizational culture. The overarching question is what makes FinTech a salient context and how Fintech firms and traditional financial institutes interact strategically to validate propositions and appropriate values stemming from technology and innovation. Chiles, T.H., Elias, S.R.S.T.A. and Li, (2017). Entrepreneurship as process. In Langley, A. and Tsoukas, H. (Eds. ), The Sage Handbook of Process Organization Studies London: Sage. Li, and Jarzabkowski, P. (2019). Unpacking business incubators: Sensemaking, resource enacting practices, and emerging ventures. The 79th Annual Meeting of the Academy of Management 8-14 August, Boston, MA. Li, , Jarzabkowski, P. and Furnari, S. (2019). Actualizing the potentiality: A process study on how emerging organizations realize the resource(s) in a corporate-run accelerating program. The 11th International Symposium on Process Organization Studies 19-22 June, Chania, Crete. Li, Q., Jarzabkowski, P. and Furnari, S. (2018). Strategy-as-practice, identity, and capability to perform in a pluralist context: A case study. 78th Annual Meeting of the Academy of Management 10 August, Chicago. Li, Q., Furnari, S. and Jarzabkowski, P. (2018). Start-up programs as a constraint to innovative disruption: Preliminary evidence from InsurTech start-ups. 34th EGOS Colloquium 10 July, Tallinn. Li, , Jarzabkowski, P. and Furnari, S. (2017). Co-construction of strategy and identity: The emergence of a Fintech start-up. FinTech Annual Conference 15 September, Toronto. Li, , Jarzabkowski, and Furnari, (2017). Strategizing into becoming through organization identity as a resource: A case study of a Fintech start-up. 33rd EGOS Colloquium 5-8 July, Copenhagen. Li, (2016). Through the looking glass: Toward a metaphysics of organizing practice in less institutionalized organizations. Academy of Management Meeting 9 August, Anaheim. Li, and Seyrek, U. (2016). A historical comparative perspective on theory development in organization studies. 8 Aug 2016 – 13 Aug 2017. Li, (2016). The masters of meanings: Using phenomenology to study meanings of work. 32nd EGOS Colloquium 7 July, Naples. Li, (2016). Know Thyself: Reflexivity as an identity work. Qualitative Research in Management and Organization Conference (QRM) 21 March, Albuquerque. Li, (2016). Beyond meaningful work: A phenomenological study on workers in education industry in China. Journal of International and Interdisciplinary Business Research Symposium 1 March, Los Angeles. Li, (2015). Know Thyself: A Reflection on Assumptions. Academy of Management Conference 5 August, Vancouver. Elias, S.R.S.T.A., Chiles, T.H. and Li, (2015). Austrian Economics and Organizational Entrepreneurship: A Typology. Academy of Management Conference Vancouver. Chiles, T.H., Elias, S.R.S.T.A., Li, and McMullen, J.S. (2014). Austrian Economics in Organization Studies: The Contribution of Hayek's Ideas. Austrian Economics Research Conference 10 March, Auburn.